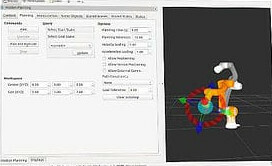 The Robot Operating System (ROS) is a set of software libraries and tools that help you build robot applications. From drivers to state-of-the-art algorithms, and with powerful developer tools, ROS has what you need for your next robotics project. And it's all open source. ROS is used by students of all ages, from kids interacting with robots in museum exhibits to graduate students learning about the latest solutions to common robotics problems. Because it supports such a wide variety of robots, including low-cost platforms like the TurtleBot and LEGO Mindstorms, ROS is especially well-suited to classroom use. Over the past several years, ROS has grown to include a large community of users worldwide. Historically, the majority of the users were in research labs, but increasingly we are seeing adoption in the commercial sector, particularly in industrial and service robotics.